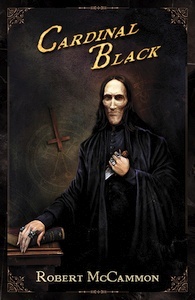 Open Road Media has a “Scary Reads” ebook sale running through Halloween! 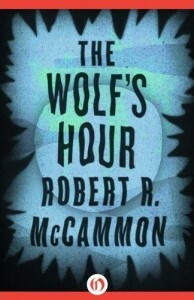 Included among the titles on sale: Robert McCammon’s The Wolf’s Hour, now only $1.99 for all ebook formats! Click on the image below to view all of the “Scary Reads” ebooks. On the eve of D-Day, a British secret agent with unique powers goes behind Nazi lines Michael Gallatin is a British spy with a peculiar talent: the ability to transform himself into a wolf. Although his work in North Africa helped the Allies win the continent in the early days of World War II, he quit the service when a German spy shot his lover in her bed. Now, three years later, the army asks him to end his retirement and parachute into occupied Paris. A mysterious German plan called the Iron Fist threatens the D-Day invasion, and the Nazi in charge is the spy who betrayed Michael’s lover. The werewolf goes to France for king and country, hoping for a chance at bloody vengeance. Also, the Audible unabridged audiobook editions of both Michael Gallatin books, The Wolf’s Hour and The Hunter from the Woods, will be released on MP3 CD on October 28, 2014. Thank you very much for the sale. I bought Wolf’s Hour on Amazon from your link and I am a member of Audible but no discounted price showed up for the Audiobook. Will this special price be offered after Oct 28 or should it be showing now? I am currently listening to Swan Song, and I can not express how wonderful it is. 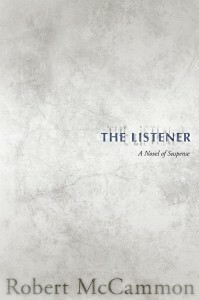 The narrator sounds as if he has an entire room full of people to call upon to do the different voices. 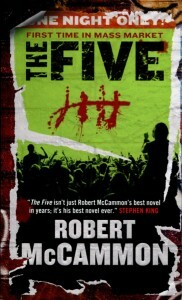 He is superb and given that he has one of the best, if not the best, authors work to read, can only make his job easier. 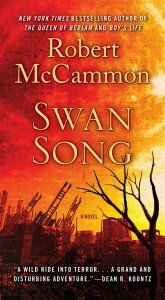 For years I have loved The Stand by Stephen King as my favorite end of the world type book, but Swan Song has taken its place. It recently was on sale for 1.99 and I was able to buy it. I’m disabled with a very small income and I was so grateful for the sale, and the accompanying Audiobook reduction in price. I can’t go out to the library to borrow books and our library isn’t set up to borrow via Kindle. I’m so very grateful for your sales. It might seem silly to you, but given a choice between almost anything and books I choose to buy books. Books transplant you to many different worlds, help deal with pain more than anything else. I listen while I make quilts for others who are homeless and in need. Thank you so much for the sales. It’s possible that I was mistaken about the discounted price for the audiobook. I’ll try to find out and get back to you! The audiobook edition of The Wolf’s Hour is not available at the discounted price because it doesn’t (yet?) have Whispersync for Voice technology. I don’t know yet if that’ll change down the road.